Your loved one was a special individual. 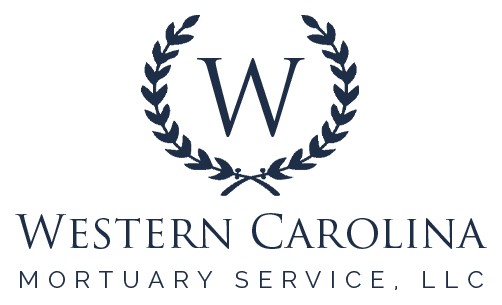 Western Carolina Mortuary Service can help you celebrate their life and honor their memory with a meaningful funeral service that reflects their unique character and personality. Let us help you say good-bye with a funeral service that provides your family with comfort in your loss, as well as lasting memories for the future. What was your loved one's occupation or profession? What other special memories did you share - places, vacations, special occasions, family events? If you are looking for something more than a standardized, "cookie cutter" funeral service, Western Carolina Mortuary Service is happy to partner with you to help memorialize your loved one. Our creative staff will work with you on distinctive, yet reasonably priced options to make your loved one's service as special as they were. Honor your loved one with special memorial candles that are an ideal way to share their memory among family and close friends. Our long-lasting candles will burn for over 100 hours. Choose between several inspirational quotes, or a simple "In Loving Memory" incorporated with a photo of your loved one and the dates of birth and death. Western Carolina Mortuary Service has an extensive library of recorded music for you to choose from as part of the funeral service or following reception. In addition, we can provide live musicians based on the type of music your loved one enjoyed. For instance, the family of a person who enjoyed bluegrass music chose to have the soft sounds of a hammered dulcimer playing during the funeral service, instead of the more traditional organ music. Keep in mind that now is your opportunity to say good-bye in a unique and meaningful way â€“ one that will touch the hearts and live on in the memories of those who shared in the life of your loved one. Please contact us for more ideas and suggestions (828-254-4880).